For many VCU students, being a freshman is hard enough. For Men’s Basketball guard P.J. Byrd and Women’s Basketball forward Lauryn Thompson, however, the combination of sports and academics has made college life incredibly busy so far. 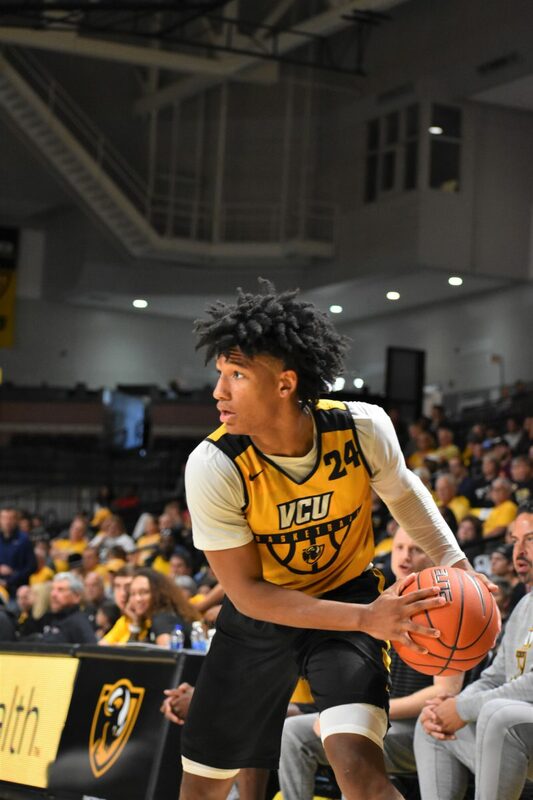 With the 2018 regular season starting Nov. 6, VCU Basketball has been hard at work practicing with its new recruits. For Byrd, juggling school and sports has been harder than he thought it would be. “Knowing that you’ve got to do school, [which is] mandatory, all the other things like working out so much — I didn’t really understand how much the workload was gonna be,” Byrd said. Thompson, on the other hand, said transitioning from high school to college has been busy, but not in a bad way. Freshman forward Lauryn Thompson came from Arlington, Texas to join the Women’s Basketball program. Photo courtesy of VCU Athletics. 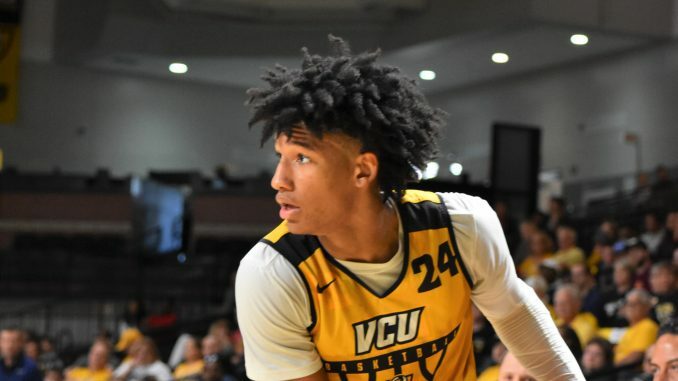 Thompson’s main reasons for coming to VCU are Richmond’s diversity and the large basketball fanbase. Byrd said he chose VCU because he was already close with basketball personnel. Some of the team’s current coaching staff used to work at Rice University, only a short distance from his home in Houston, Texas. One of Thompson’s favorite places in Richmond, so far, is the Virginia Museum of Fine Arts. Byrd, on the other hand, said he hasn’t been to many places in Richmond besides the VCU Basketball Development Center — the $25 million practice facility opened in 2015. However, he said his second-favorite spot on campus is the James Branch Cabell Library. Both players’ favorite places to grab a bite to eat are off-campus restaurants. Byrd’s favorite is Asado off of Broad Street, while Thompson’s is Mama J’s on 1st Street. When it comes to their basketball careers, Byrd and Thompson said they bring energy to their new teams. Thompson said she brings a constant stream of motivation to her team. Both freshman, however, had different opinions as to who was ultimately in charge of their team performances this season. Byrd said his squad’s collective success is up to a higher power. For Thompson, her teammates’ support is key. Byrd said the support of VCU students during games will also be a key ingredient to the team’s success. Thompson said she likes it when fans show support around campus. “Just keep helping spread the word of when we have games and to actually come and support us,” Thompson said. “Also, when you see us on campus don’t be afraid to say hey or say ‘good game’ — small things really go a long way.